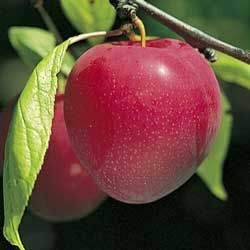 This vigorous, productive tree has immense fruit with a tough, red skin blushed with gold that peels easily and that is sweet and juicy. 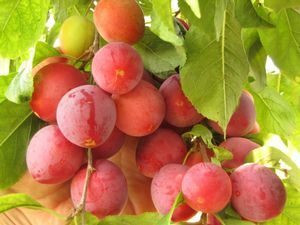 General Description: One of the best plums for northern growers. 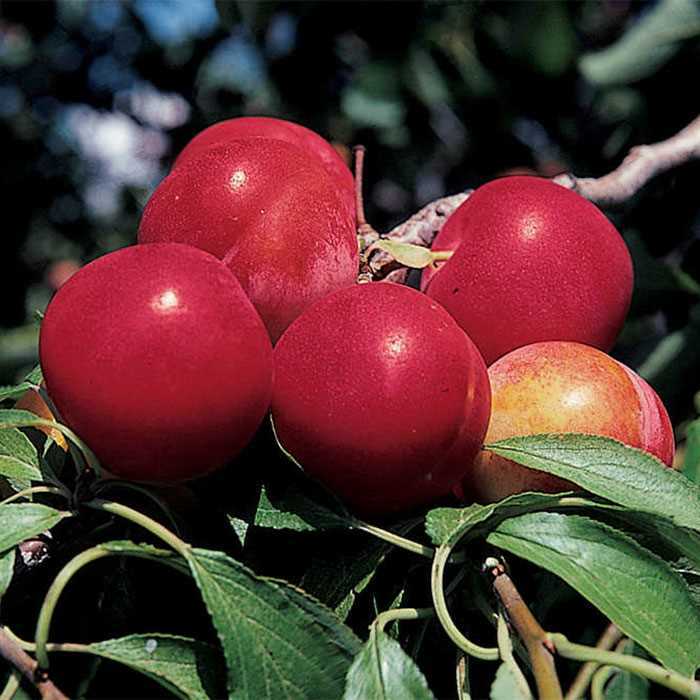 This vigorous, productive tree has immense fruit with a tough, red skin blushed with gold that peels easily and that is sweet and juicy. Excellent for fresh eating, and in jams and jellies. 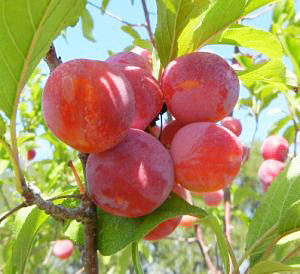 Fruits ripen mid season. 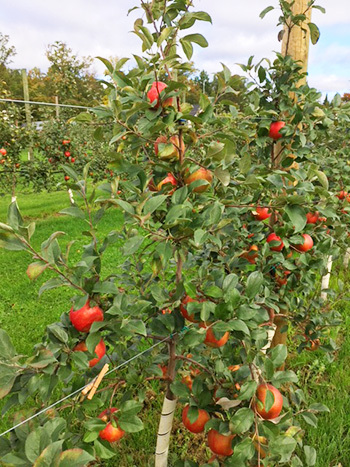 Needs cross pollination by another red variety such as Toka or Superior.